November 8th is a historic date for healthcare. On this date, 123 years ago, Wilhelm Röntgen discovered the existence of x-rays, a medical and scientific breakthrough that changed our ability to diagnose and treat patients across the globe. That is why, this date has been designated the International Day of Radiology (IDOR). This provides us the opportunity to build greater awareness of the value that radiology contributes to safe patient care, and improve understanding of the vital role radiologists and radiological technologists play in the healthcare continuum. Since that day in 1895, we have seen unparalleled advances in modern healthcare, with 450 million people in the world now undergoing a diagnostic test every year. Our images are of a higher quality, our machinery is more patient friendly, and our diagnoses are more accurate than Röntgen could ever have imagined. His legacy means that colleagues working in radiology today are seeing almost continuous progress. Today is the 7th international Day of Radiology, and I am delighted that Affidea has the ability to raise awareness across all of our countries of this special day. In particular, this IDOR focuses on Cardiac Imaging – that is being able to take detailed images of the heart to assess how well it is functioning. For Affidea, the leading European provider of advanced diagnostic imaging, outpatient and cancer care services, the future is incredibly exciting. We are at the forefront of radiology, driving new innovations in Artificial Intelligence, data-driven medical care and teleradiology. Being the largest independent provider of diagnostic imaging, with a network of 246 centres in 16 countries, we provide a huge amount of cardiac imaging. We also have an international network of sub-specialty doctors - radiologists and cardiologists - across Europe who are dedicated to this field. We are able to use our expert group to define the best imaging protocols and introduce the latest technology enabling timely, accurate diagnoses, leading to fast and optimal treatment. 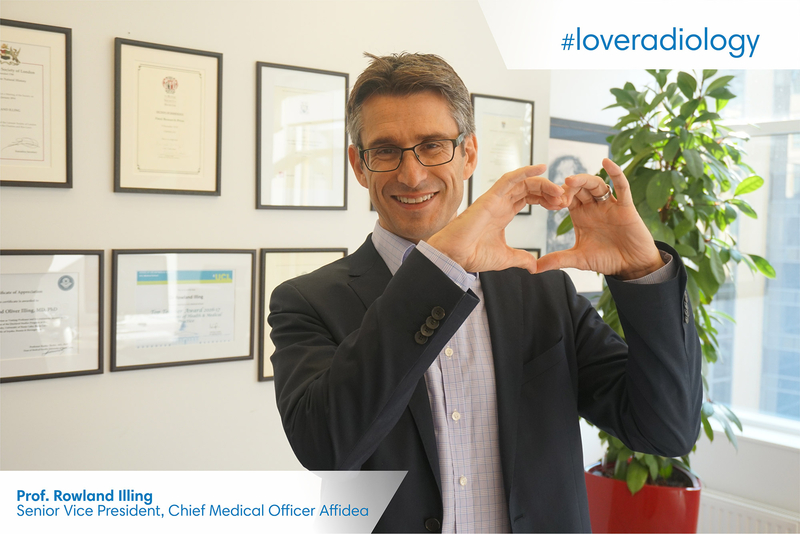 The cardiac imaging subspecialty group led by Dr. Juan Sztajzel in Geneva, Switzerland, is able to unify the way we acquire and report cardiac imaging leveraging our award-winning Dose Excellence and MRI Excellence programmes. Affidea is delighted to support the International Day of Radiology and we hope that everyone is able to celebrate the achievements in this field. Medical imaging has come a long way in 123 years, and at Affidea we look forward to playing a significant role in the future of radiology.